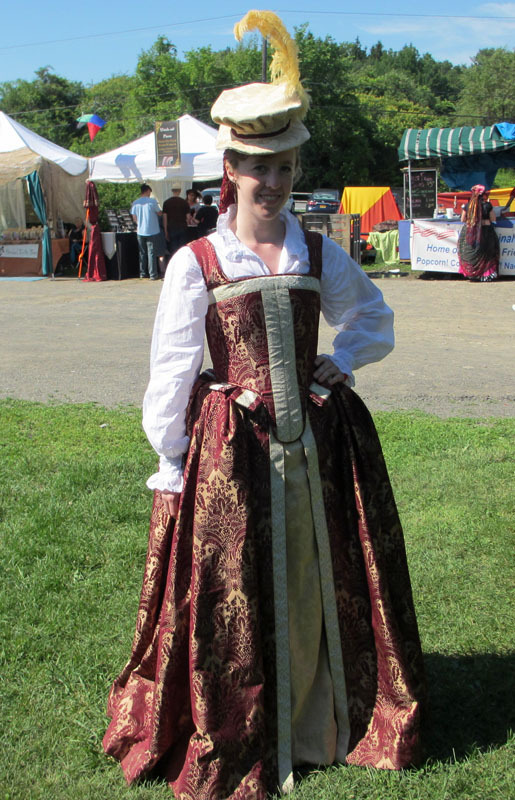 A year later (and several projects in between) I’ve been able to get my Elizabethan court gown in complete enough condition to wear it to the first Faire of the season. 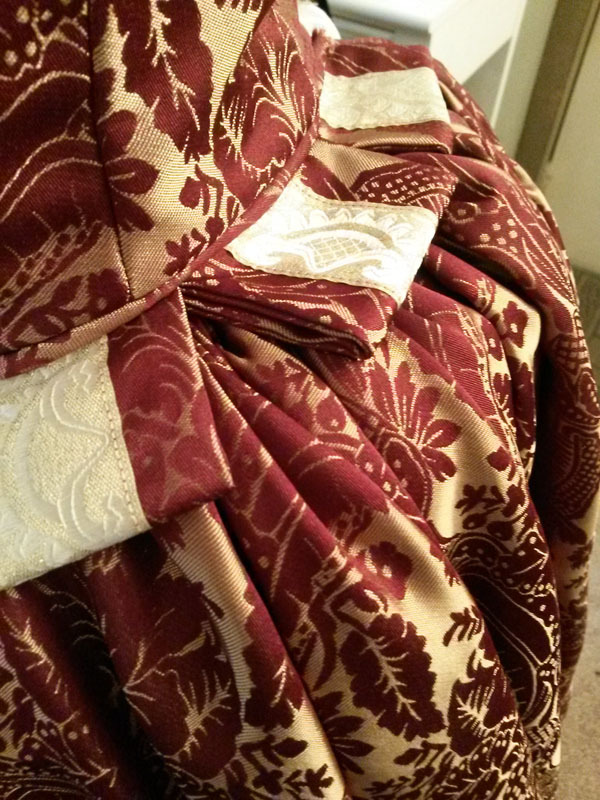 I finally finished sewing the cartridge pleated skirt onto the waistband and added closures. 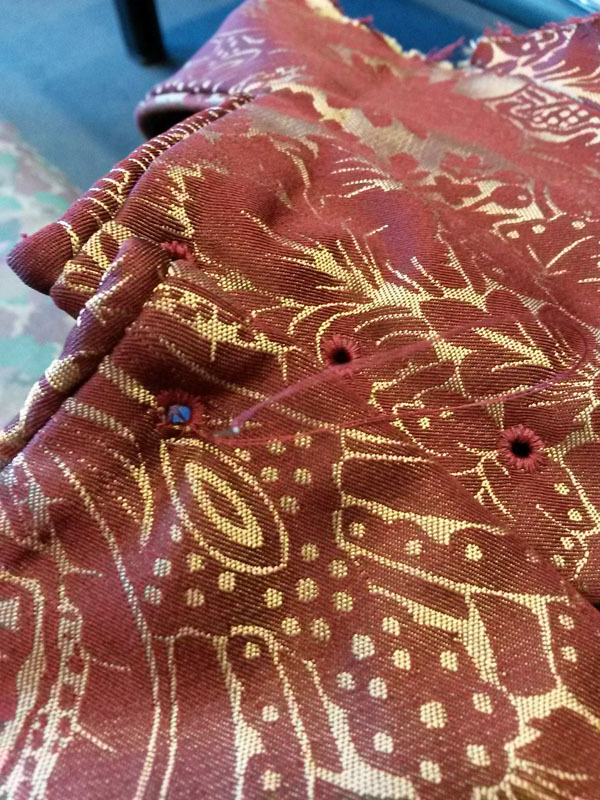 I put eyelets in the bodice using an awl, and had a bit of trouble since the fabric is polyester (gasp!) 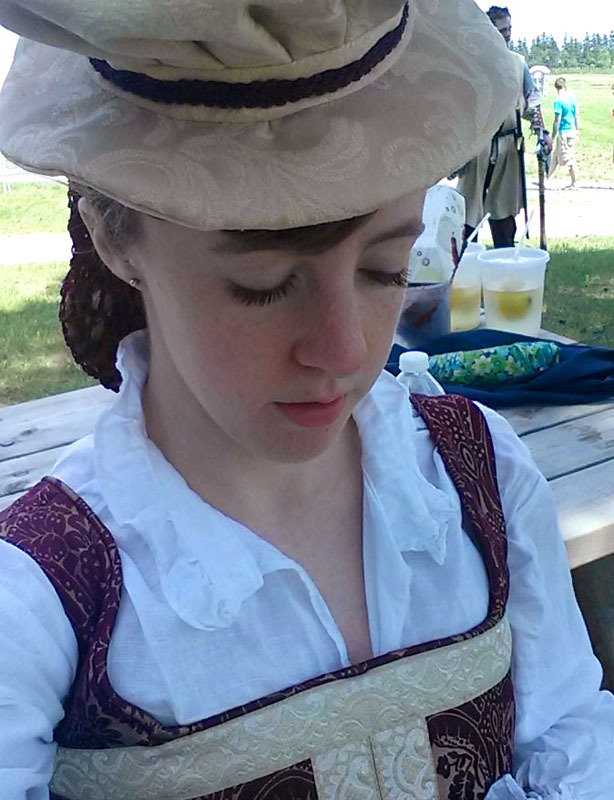 and the bodice is several layers. I intended to add wings on the shoulders temporarily until I can get my shoulder rolls figured out, but I just started getting burned out, so I left the shoulder straps bare for the time being. 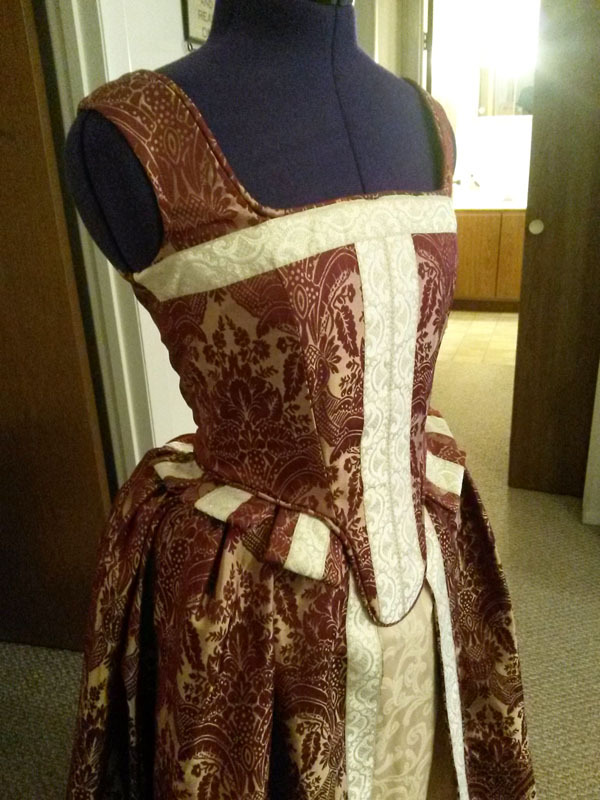 I did have to add a privacy panel in the back, because somehow my bodice shrank as I sewed it. 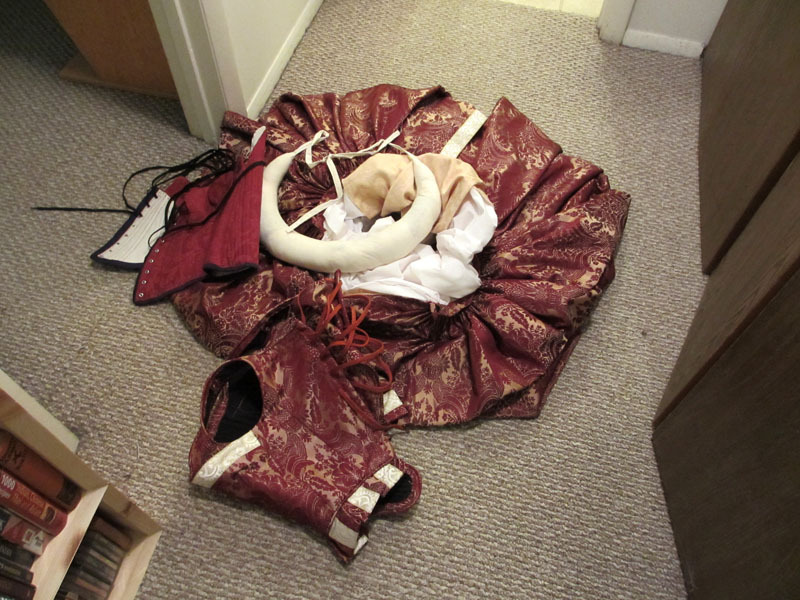 I swear it was just the right size when I first started this project (I’ve gained a little bit of weight, but no inches on my waist, so shrinkage is the only explanation). 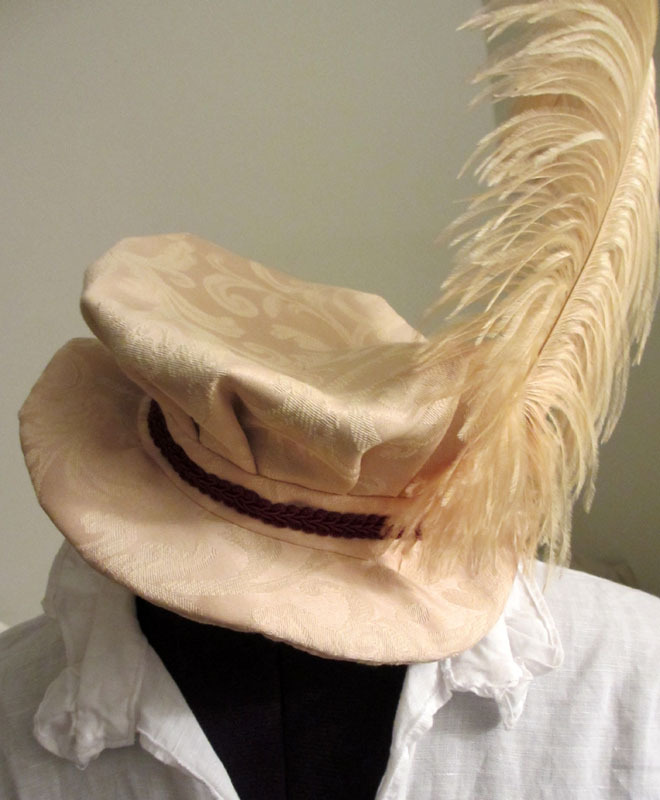 I also desperately needed a hat, and felt that if I didn’t have one, there would be no point in wearing the gown, since without a hat the outfit would look even more incomplete than it already is without the sleeves and shoulder rolls. 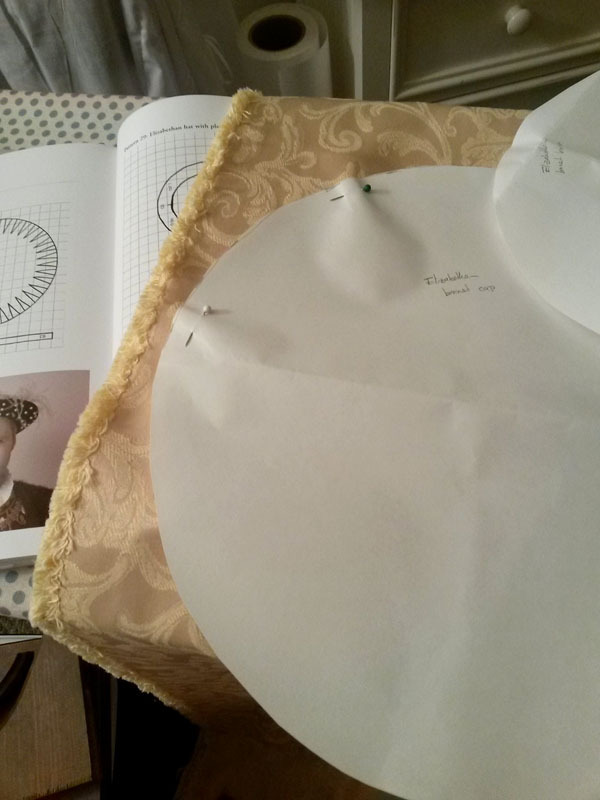 So two days before the Faire, I drafted up a pattern using the Elizabethan bonnet instructions in The Tudor Tailor. Then it was wearing time! We had nasty storms the night before the Faire, so when we showed up there were scary mud puddles everywhere. Luckily the sun was out and it quickly dried the puddles. I had just enough time to be grateful before the heat set in and I started to regret wearing a dress entirely made of polyester. Trying to stay cool in the shade. 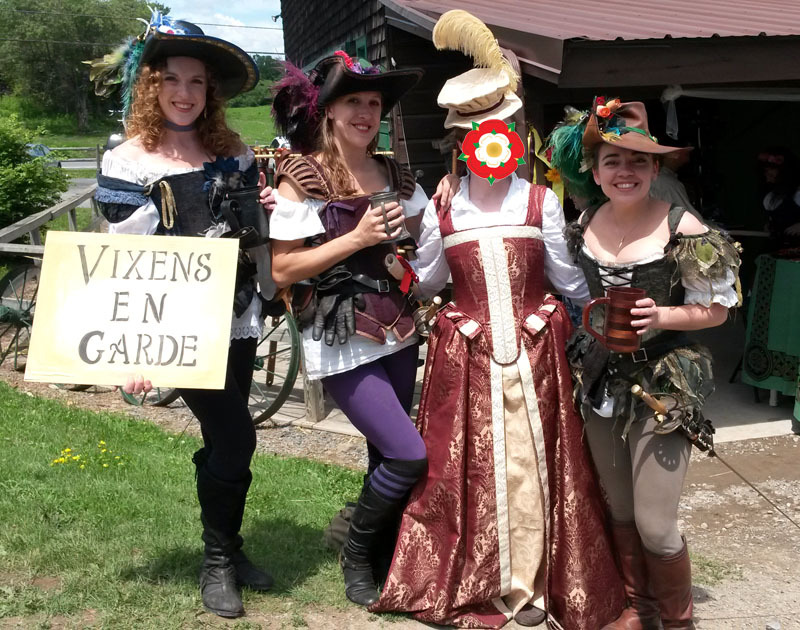 But we got to watch the always enchanting Vixens en Garde, take in the joust, watch a pirate brawl, and listen to Three Pints Shy before I tossed in the hat, surrendered to the heat, and sent my driver for the car so that we could limp home in the air conditioning. I was the victim of severe derp face. 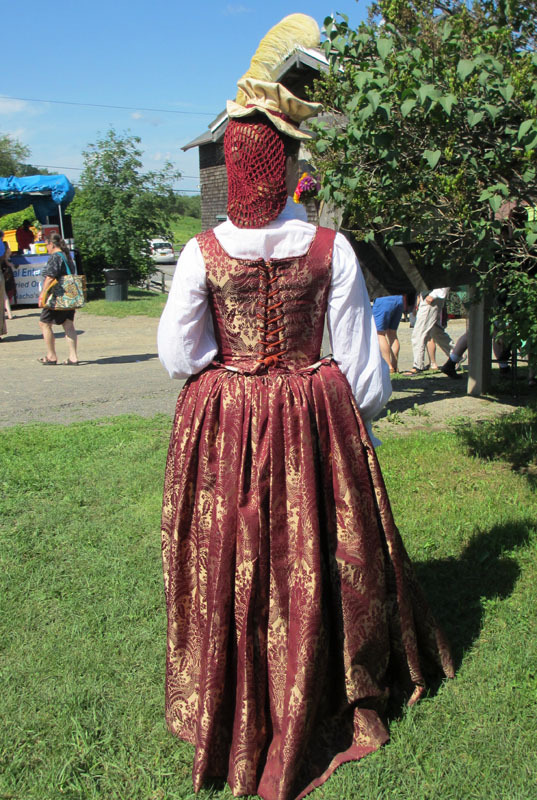 Hopefully I will have sleeves and shoulder rolls for the next Faire in August!